you have been flying for 20 years." a surplus of skilled pilots." In the days after 9/11, numerous pilots and aviation experts commented on the elaborate maneuvers performed by the aircraft in the terrorist attacks, and the advanced skills that would have been necessary to navigate those aircraft into their targets. The men flying the planes must have been "highly skilled pilots" and "extremely knowledgeable and capable aviators," who were "probably military trained," these experts said. And yet the four alleged hijackers who were supposedly flying the aircraft were amateur pilots, who had learned to fly in small propeller planes, and were described by their instructors as having had only "average" or even "very poor" piloting skills. But on their first attempt at flying jet aircraft, on September 11, 2001, these men were supposedly able to fly Boeing 757s and 767s at altitudes of tens of thousands of feet, without any assistance from air traffic control. Three of them were apparently able to successfully navigate their planes all the way to the intended targets, which they hit with pinpoint accuracy. For such poor pilots to carry out such skilled flying would surely have been extremely unlikely, perhaps impossible. And yet this is what is claimed in the official account of 9/11. Two of the aircraft targeted in the 9/11 attacks were Boeing 757s and the other two were Boeing 767s. Experts have commented how difficult it would have been for amateur pilots, like the alleged hijackers, to fly such aircraft. Some experts commented specifically on the flying skills that would have been necessary to crash planes into the Twin Towers of the World Trade Center. While these experts indicated an extraordinary level of piloting skills would have been necessary to carry out the 9/11 attacks, the four men supposedly at the controls of the hijacked aircraft were in fact notable for their lack of such skills and for their limited flying experience. Of the four men supposedly at the controls of the hijacked aircraft on September 11, Hani Hanjour stood out for his particularly weak flying skills. This 29-year-old from Saudi Arabia is alleged to have flown Flight 77 into the Pentagon. That, as we have seen, would have been a particularly difficult task, even for the best pilots. Hanjour, however, was a hopeless pilot. The terrorist allegedly at the controls of United Airlines Flight 93, which reportedly crashed in Pennsylvania after its passengers fought back against their plane's hijackers, was Ziad Jarrah, a 26-year-old from the Lebanon. While he was a better pilot than Hani Hanjour, Jarrah still appears to have had only mediocre flying skills. DID THE HIJACKERS JUST HAVE BEGINNER'S LUCK? We can see that the four men who were allegedly at the controls of the aircraft targeted in the 9/11 attacks had poor or mediocre skills and limited flying experience. So how could these amateur pilots, who had trained in small propeller planes, suddenly exhibit extraordinary proficiency in their first attempts at flying large jet aircraft? Was this the greatest example of beginner's luck in all history? Or is the official explanation of the 9/11 attacks wrong? A new investigation of those attacks is urgently required to address this question and find out the truth of what happened on September 11, 2001. Pamela Freni, Ground Stop: An Inside Look at the Federal Aviation Administration on September 11, 2001. Lincoln, NE: iUniverse, Inc., 2003, p. 76; "Memorandum for the Record: Interview With Tony Ferrante." 9/11 Commission, April 19, 2004. James Glanz, "Terrorists Were Well Trained, but not Necessarily in Flying." New York Times, September 13, 2001. "Hijackers 'Knew What They Were Doing.'" CNN, September 12, 2001. Nicole Martin and Andrew Hibberd, "Hijackers May Have Murdered the Pilots." The Telegraph, September 12, 2001. Henry K. Lee, "Experts Assess How Skilled Hijackers Were." San Francisco Chronicle, September 13, 2001. "September 11: U.S. Government Accused." Portugal News, August 3, 2002. Jon Hilkevitch, "Hijackers Flew Skillfully to Targets, Experts Say." Chicago Tribune, September 13, 2001. Matthew Brelis, "Pilots Say Crews Likely Overpowered, Slain." Boston Globe, September 12, 2001. Ken Kaye, "Questions Remain on Flight Training." South Florida Sun-Sentinel, September 22, 2001. Nicole Martin, "Pilots 'Must Have Been Murdered' Before Jets Were Aimed at Buildings." Irish Independent, September 12, 2001. Nicole Martin and Andrew Hibberd, "Hijackers May Have Murdered the Pilots." Matthew Brelis, "Pilots Say Crews Likely Overpowered, Slain." Jon Hilkevitch, "Hijackers Flew Skillfully to Targets, Experts Say." Webster Griffin Tarpley, 9/11 Synthetic Terror: Made in USA. Joshua Tree, CA: Progressive Press, 2005, p. 190. "Primary Target." CBS News, September 21, 2001. Amy Goldstein, "Hijackers Led by Core Group." Washington Post, September 30, 2001; Steve Fainaru and Alia Ibrahim, "Mysterious Trip to Flight 77 Cockpit." Washington Post, September 10, 2002. "Experts Say Hijackers Needed Special Skills." CNN, September 14, 2001. "Memorandum for the Record: Interview With Captain Ed Soliday, Former Vice President of Safety, Security, and Quality Assurance for United Airlines." 9/11 Commission, November 21, 2003. John O'Callaghan and Daniel Bower, "Study of Autopilot, Navigation Equipment, and Fuel Consumption Activity Based on United Airlines Flight 93 and American Airlines Flight 77 Digital Flight Data Recorder Information." National Transportation Safety Board, February 13, 2002. Michael C. Ruppert, Crossing the Rubicon: The Decline of the American Empire at the End of the Age of Oil. Gabriola Island, BC: New Society Publishers, 2004, p. 350. Webster Griffin Tarpley, 9/11 Synthetic Terror, p. 191. House Committee on the Judiciary, INS's March 2002 Notification of Approval of Change of Status for Pilot Training for Terrorist Hijackers Mohammed Atta and Marwan Alshehhi. 107th Cong., 2nd Sess., March 19, 2002; 9/11 Commission, The 9/11 Commission Report: Final Report of the National Commission on Terrorist Attacks Upon the United States. New York: W. W. Norton & Company, 2004, pp. 224, 227. Rudi Dekkers, interview by Quentin McDermott, A Mission to Die For. Australian Broadcasting Corporation, October 21, 2001. David Firestone and Dana Canedy, "FBI Documents Detail the Movements of 19 Men Believed to be Hijackers." New York Times, September 15, 2001; David A. Lombardo, "Hijack Pilots Showed Average Skills, Say Their Instructors." Aviation International News, November 2001. Amy Goldstein, Lena H. Sun, and George Lardner Jr., "Hanjour a Study in Paradox." Washington Post, October 15, 2001. Statement of [Name Redacted]. Canfield, Shapiro, Baer, Heller & Johnston, LLP, May 1, 2002. Jim Yardley, "A Trainee Noted for Incompetence." New York Times, May 4, 2002. [Name Redacted], interview by the FBI. Federal Bureau of Investigation, September 17, 2001. Jim Yardley, "A Trainee Noted for Incompetence." "Memorandum for the Record: Interview of Benjamin L. Connor." 9/11 Commission, April 12, 2004. Justin Paprocki, "Airport Owners Panic Over Plummeting Profits." Capital News Service, September 19, 2001; Thomas Frank, "Tracing Trail of Hijackers." Newsday, September 23, 2001. Amy Goldstein, Lena H. Sun, and George Lardner Jr., "Hanjour a Study in Paradox." Der Spiegel Magazine, Inside 9/11: What Really Happened. New York: St. Martin's Press, 2002, p. 12; "Statement for the Record, FBI Director Robert S. Mueller III, Joint Intelligence Committee Inquiry." U.S. Congress, September 25, 2002. Jere Longman, Among the Heroes: United Flight 93 and the Passengers and Crew Who Fought Back. New York: HarperCollins, 2002, p. 91. "Profile: Ziad Samir Jarrah, DOB: May 11, 1975." Federal Bureau of Investigation, March 20, 2002; "Memorandum for the Record: Interview of Herbert Hortman, Owner of Hortman Aviation, Philadelphia, PA." 9/11 Commission, April 27, 2004. 9/11 Commission, The 9/11 Commission Report, p. 14. People who mention Hani Hanjour's poor piloting skills, without mentioning Luai Sakra, are not telling you the full story. According to Sakka, Nawaf al-Hazmi was a veteran operative who went on to pilot the plane that hit the Pentagon. Although this is at odds with the official account, which says the plane was flown by another hijacker, it is plausible and might answer one of the mysteries of 9/11. The Pentagon plane performed a complex spiral dive into its target. 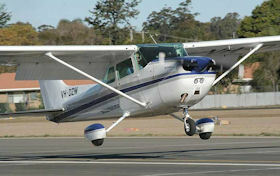 Yet the pilot attributed with flying the plane “could not fly at all” according to his flight instructors in America. Hazmi, on the other hand, had mixed reviews from his instructors but they did remark on how “adept” he was on his first flight. Paul Thompson, author and 9/11 researcher, said Sakka’s account was credible. “I think there is a lot more about the history of the hijackers that needs to be found out and Sakka’s claim may resume the debate about just how much was known about them before 9/11,” he said.